What is the Historical Importance of Ajanta Caves is a question often asked by people who are not aware of the value of the paintings done on the walls and the ceilings of these caves thousands of years ago. Ajanta caves are a series of twenty nine caves in the district of Aurangabad in the state of Maharashtra in India. 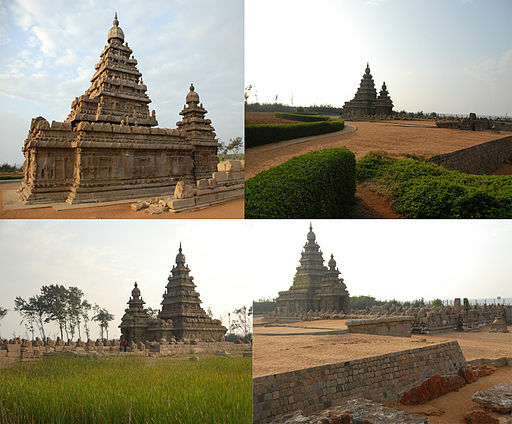 These historical monuments are brilliant masterpieces of Buddhist architecture and sculpture. These caves are famous all over the world and they have been declared as a World Heritage Site by UNESCO in 1983. 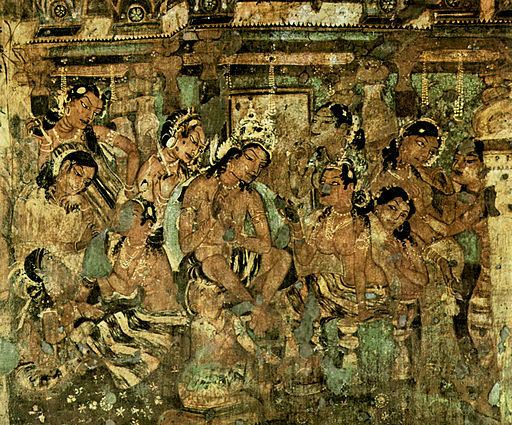 This article attempts to explain the historical significance of Ajanta caves. 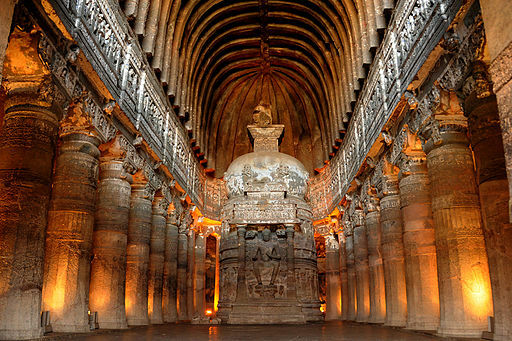 Located at a distance of 40km from Jalgaon city, Ajanta caves are fine examples of the Buddhist art and architecture. These caves were discovered in 1819 though they are believed to have been constructed between 2nd century BC and 4th century AD. The paintings on the walls depict different images of not just Lord Buddha, but also different goddesses and characters from inspiring Jataka Tales. However, the most impressive of the paintings and the sculptures remain those of Lord Buddha in different poses. These paintings beautifully depict various events in the life of Lord Buddha. All the caves are divided into two categories namely the Chaityas or the shrines and the Viharas or the monasteries. Chaityas were used to worship Lord Buddha while the Viharas were used by the Buddhist monks for their meditation. These monks also carried out their studies in these monasteries. The 29 caves or temples in Ajanta reflect the Mahayana and Hinayana sects of Buddhism. These caves contain some of the best Buddhist art pieces found anywhere in the world. These caves remained in use for nearly nine centuries after which they were abandoned because of persecution of Buddhist monks in India. No one was aware of the existence of these caves until 1819 when Ajanta caves were again discovered. These caves are made by cutting rocks of granite along hillside. It is said that not only the caves but also the paintings and the sculptures are the handiwork of Buddhist, Hindu, and Jain monks who stayed and prayed inside the caves during this period. Ajanta caves are unique in the sense that they incorporate the three elements of visual arts namely paintings, frescos, and sculpture together. The fusion of these three art forms makes these caves very important for the lovers of art and architecture. One unique feature of depicting Buddha makes use of symbols such as his footprints or his throne. Under the Mahayana tradition of Buddhist art, one finds colorful frescos and murals of Lord Buddha and sculptures showing not only Buddha, but other Bodhisattvas also. These caves also reflect the morals and values that were regarded highly in those times with the help of scenes of everyday life. 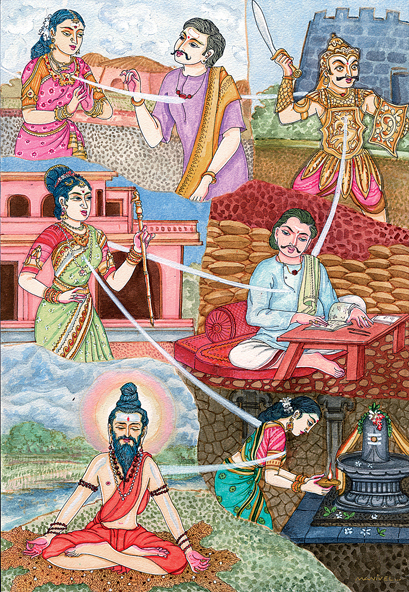 Artists have made use of Jataka tales to depict the incarnations of Buddha in his previous lives. There are also inscriptions that contain names of princes and kings who donated generously to these Buddhist monks. In general, Ajanta caves reflect the brilliant Buddhist art that rose and flourished during the reigns of Chalukya and Rashtrakuta rulers. The magnificent Buddhist art in Ajanta caves had a great influence in the development of art and architecture in India.